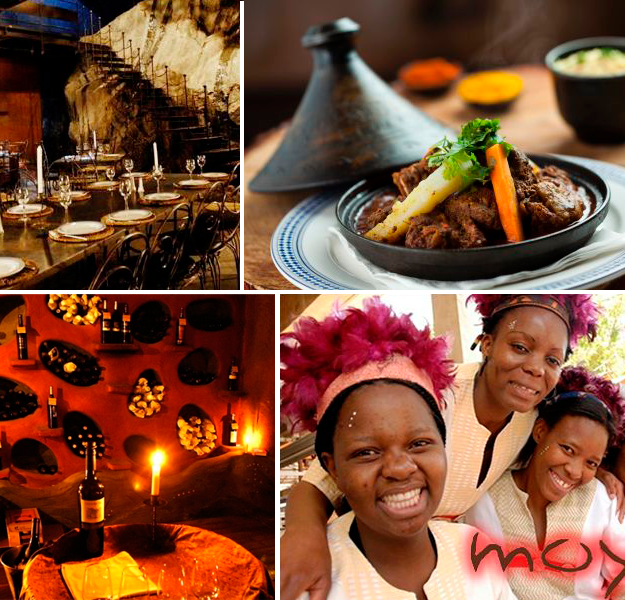 If you find yourself in Johannesburg looking for something uniquely African, Kate strongly recommends a night at moyo Restaurant. More than just a dining experience, moyo invites its patrons to eat it, live it and experience it through not only evocative cuisine, but from art and design to music and crafts. modern soul of Africa. The smooth vibe is enhanced by drumming beats of funky rhythmic African melodies. So before you are even sipping on a glass of fine South Africa wine, you are immersed in the magic of Africa. The interactive dining experience allows unique activities like tribal face painting and having a turn at beating the drums to your very own tune. Once you have your African Mojo flowing, the only thing left is the hard task of choosing from the urban cuisine offerings. The dining options are diverse, from relaxed meals in the outdoor square to the more intimate dinners in Gigi’s cosy alcoves. A diverse yet authentic menu ranges from various meat dishes including local African game to the best the country has to offer in seafood. Vegetarian options are also available which is rare in this meat-eating country. Sounds like a great place to hang out and enjoy some of the cultural experience Jo’burg has to offer. Thanks for sharing, Kate.